Acronis Ransomware Protection is a free tool, that delivers proven, powerful protection from ransomware like Petya, WannaCry and Osiris. And it’s is completely compatible with all leading anti-malware solutions. This tool uses technology that monitors your system in real-time, distinguishing normal activities from suspicious ones like unauthorized encryption. By recognizing bad behavior, it spots ransomware whether the strain is known or not. If a process is caught trying to encrypt your files or inject malicious code into your system, Acronis stops it before any damage is done. You’re instantly notified that something suspicious was found. Then you can either block the activity or allow it to continue. After blocking the ransomware attack, Acronis Active Protection will help you restore any files that might have been altered or infected. It searches for the latest file versions and can recover clean copies from your cache, temporary files, or backup. Supported Operating Systems: Windows 7 SP1, 8, 8.1, 10. 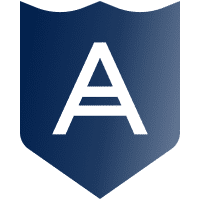 Acronis Active Protection — this service protects your computer from ransomware. File-level continuous backup to Acronis Cloud that protects your files from corruption or loss. Based on a heuristics approach and ML-technology, it monitors processes and prevents files from unauthorized encryption. Protects from the latest ransomware including Petya, WannaCry, Osiris, and Bad Rabbit. Active Protection dashboard shows the current number of the processes being analyzed. Also it shows the current number of suspicious processes that act similar to ransomware behavior. With the Process management functionality, you can trust or block applications to allow or prohibit them running on the computer. With 5 GB of free cloud storage, you can protect your data not only during a ransomware attack, but also from disk failures, disasters, and accidental deletions. Changes to the protected files are automatically uploaded to the cloud storage every 15 minutes, to keep the backup up-to-date. You can access your files in Acronis Cloud from anywhere on any Internet-enabled device, share them, or download for further reuse. Backup Statistics graphically represent content of a backup,. 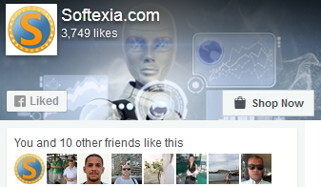 Also it provide statistics for backed-up file categories such as documents, photos, videos, music, and others.